Remember this old thing? During its time and place, it served a very valuable purpose – turning a business’ sale into a deposit, while also doing some basic calculations. This was the height of technology at one point in time – unfortunately, widely used Point of Sale (POS) systems today are almost as ancient. Take a look at this. The “future” of POS systems, some sci-fi pipe dream, is in small- to-medium sized businesses as we speak. (Disclaimer: this system, developed by former head of Google Wallet Osama Bedier, is touted by some as “future proof” – as made evident by the comparison between these two pieces of technology, nothing is truly future proof). The point is this – your POS, while being the foundation of your cash/credit exchange system, can do so much more, and an outdated POS system can hinder your business’ growth for years to come. Below I’ll outline a bit about what the future of Point of Sale will look like and how you can seamlessly get your business up to speed. 1) POS systems will continue to enhance not only the customers experience, but also the business owner’s. Deeper integration between front end and back office systems means greater insight into inventory management, in-store customer tracking, supply chain management – you name it. These links are working constantly, giving the business owner more time to focus on extrapolating that data and making it work for them. 2) Customer experience (Customer Relationship Management) is becoming one of the most critical elements as they relate to POS systems. This includes endeavors into loyalty rewards programs, mobile-integrated payment methods and savings mechanisms – even self check-out becoming more widely available. Customers, especially those in the Millennial generation, crave new, intuitive ways to interact with businesses during both the shopping and inevitable transaction experience. A quick, seamless way into this is the use of tablets (digital in-store advertising, for instance) that allow the customer to interact via QR code or similar mechanism. 3) Revolutionary authentication systems are on the way – and quickly. The use of traditional scanners may soon go the way of the dodo bird, as more businesses make way for biometric scanners, visual identification systems (for in-store customer tracking and personalized advertising), and voice recognition. Imagine customers lining up to shop at your store and make transactions via fingerprint scanner that contains all their relevant card information, making the process incredibly efficient and secure! 4) The benefits of a cloud-based POS system are becoming too good to pass up. (If you’re unfamiliar with the cloud and its benefits, check out this nice tutorial). In lieu of buying a bulky register system, many cloud-based systems offer applications for tablets, which really adds to the customer experience. Free (or nearly free) technical support, integration with other relevant applications, mass data storage, mobility & flexibility, and little to no installation fees are other great benefits to these systems. For more information about this topic, read this article. 5) “Retailers run the risk of the productivity plateau if they do not adopt POS systems that can keep pace with customer demands.” This point is simply here to drive the theme home for business owners – this time is now (yesterday, in all actuality) to start having the conversation about POS conversion. The implications could be dire, and none are better poised than small-to-medium sized businesses to easily make the transition. For more information on various innovations in the point of sale industry, see this helpful guide from ShopKeep (a premier cloud-based POS system provider that isn’t too pushy with their systems, but do provide great information of the market in general). There’s also a fantastic independent review of best POS systems out there that’s worth your time. Finally, during my research I stumbled upon an innovative concept, similar to Groupon, that drives mobile payments and customer loyalty – I’d highly recommend checking this out! I hope this primer serves as a stepping stone for your business in the conversion to a more customer-driven POS system. The resources are out there, and they’re staggering in number and scope, I realize this. To not start thinking about these concepts would serve to put your business at risk of getting behind the competition. 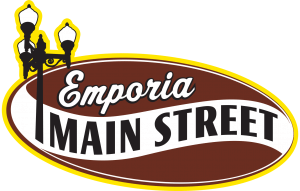 Get ahead of the game with this advice, and please don’t hesitate to ask Emporia Main Street for any additional insight! Like this article? 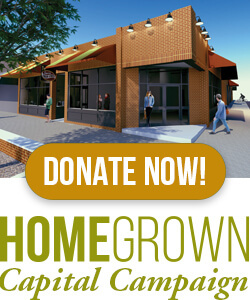 Find this information and MUCH more in this week’s Emporia Main Street E-Newsletter!